Since the very beginning of Stampery, we set our culture very straight. We are freedom lovers. Bitcoin and the blockchain were created by visionaires, we may not exactly know their names, but they were individuals breaking the status quo and empowering freedom. And we love to do the same. Néstor, who is only 18, is the one in charge of the whole Stamperys’s design. In my case, I’m 19 and I’m the one in charge of the technology. But age doesn’t matter. What matters is that we are breaking society’s molds. We don’t even have a degree, we just keep building. Stampery has grown from an idea some months ago to something that works and people use. We’re still very early, and we know that, but we’re very proud to enter our next stage and welcome our first employee, Adán. Adán is another one breaking the status quo. He’s 23, yet he has created the most used IM client for Firefox OS, with over 1M active users, and he’s a free software lover and hacktivist. And we love that. So here we go with a quick interview with him! Luis: Adán, we’re extremely thrilled to have you onboard. Can you tell us how did you manage to create the most used IM app for Firefox OS? I’ve been interested on instant messaging protocols like XMPP for years. So when I heard that WhatsApp wasn’t willing to bring their service to the new OS, I thought “Ok, firefox phones won’t have WhatsApp, but their users will still need a substitute”. That’s why I quickly started to develop Loqui IM on my own. It aimed to be a multiprotocol IM web client built entirely in HTML5, but at first it really wasn’t as it only supported XMPP and derivatives (Google Hangouts, Facebook, Nimbuzz and Microsoft Lync). As the FirefoxOS APIs evolved and became more mature, I took advantage of cutting-edge technologies such as ES6, JS1.7, desktop notifications, systemXHR and TCP Sockets API. Precisely this last API made possible to add WhatsApp support. Then it really was a multiprotocol client! Since then the app has quickly gained traction and as I open sourced the project from the very beginning, little by little more people has joined the develoment and localization process. As of today, I’m only one out of 16 code contributors, 90 translators and about 1M users. I need to thank all that folks for helping to make FirefoxOS an early success in emergent markets! 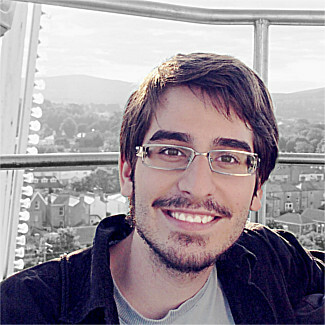 Luis: As an active free software contributor, what are the reasons that move you into giving back to the community? Adán: First of all I have to state that I’m a free software extremist. As such, I try to avoid as much as I can using any device running privative software. Before you even argue: yes, of course I admit there are pieces of code that for security or commercial reasons can remain closed for a period of time. But I also do believe that in the long run, sharing creates much more net wealth than withholding (yep, communism works much better when applied to knowledge than to economics). So, being a voracious free software user, the first reason for giving back to the community is precisely feeling that I’m paying with my effort, time and work for all those awesome pieces of software that were given to me with the freedom, permission and encouragement to hack them and learn how they were made. One other incentive for contributing to free software developments are the communities around them. Joining different people from all around the world who are selflessly spending their time just to build tools that everyone can use and improve is a truly amazing experience. In addition, most contributors are always supportive and welcoming to newbies. Luis: How do you see the future of blockchain-based technologies? Do you think they will help to decentralize society? Adán: Without any kind of doubt, the blockchain has a huge potential for supporting a decentralized society. The first (and maybe most relevant) step towards that goal has been currency. It has been proved in the last years that blockchain-based cryptocurrencies like Bitcoin and Litecoin are not only viable and sustainable but also more trustworthy than fiat money, like it was demonstrated after the 2013 Cyprus bailout. Now the next big endeavour for blockchain-based technologies is to address other aspects of our society by defying other centralized authority systems, i.e. registrars, notaries or even parliaments and governments. I dream of a world where people self-manage the commons wisely without the intervention of institutions. All in all, a decentralized authority is a kind of power that doesn’t need the use of force or coercion because orders and rules are followed just because people do believe is the right thing to do and they trust each other. So, answering your question, blockchain-based technologies will help decentralizing society exactly in the same degree that people will be ready to change their mental framework and embrace that new P2P way of living, because, let us not deceive ourselves, anarchy also works better for knowledge than for politics, but the process surely worth the price. Summing up, all of that sounds like an enormous venture, right? But helping to face and overcome impossible challenges is the very reason why I’m here now at Stampery. Let’s change society, stamp by stamp! As I already said, we’re extremely happy to have Adán working with us to keep making Stampery better and better each single day.